This modern, refurbished hotel offers excellent health and fitness facilities, as well as easy access to Europe’s largest shopping complex at Lakeside. Only 21 miles from the centre of London it is on a direct train line into London. We have 149 en suite bedrooms and a great restaurant and bar. We also have excellent conferencing and banqueting facilities with our largest function room holding up to 120 delegates in a theatre style layout. 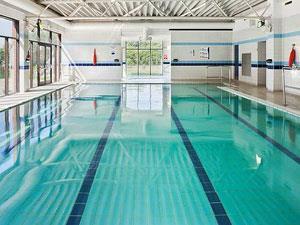 The Spirit Health Club, free to all residents has a fully equipped gym, swimming pool, Jacuzzi and sauna. Take jct 28 off M25 motorway and follow signs to Brentwood on the A1023. Holiday Inn is on the left-hand side. From Brentwood - 3 kilometres. Taxi service available. Go right out of Brentwood station, go to the end of the road, turn left. Then we are 1 mile on the right.